GIVE the new Mercedes-Benz CLA a wave and it can read your mind and body. 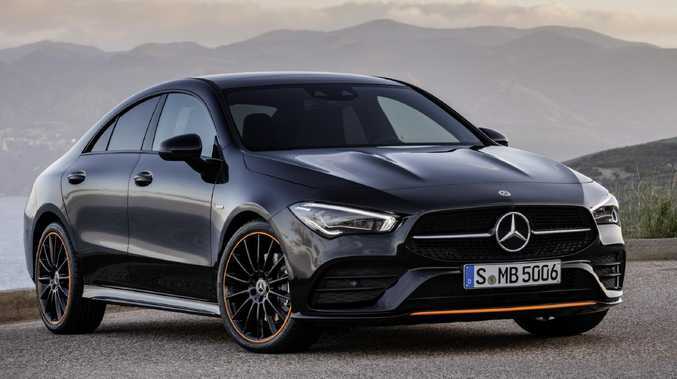 Arriving in the third quarter of this year, the "four-door coupe" based on the A-Class hatch takes its cabin technical prowess to the next level. Hand gestures recognition improves basic functionality, and the CLA can also integrate with smartwatches to monitor how you are feeling to provide massages, heat or cool the seats and even adjust the lighting. Using heart rate and sleep analysis data, it can see whether driver stress levels are elevated to help improve life's outlook with various wellness "packages" available within the car's repertoire. The latest generation of the Mercedes-Benz User Experience (MBUX) with more than 40 extra functions was showcased today at the epicentre of modern invention, the Consumer Electronics Show at Las Vegas. It's essentially Benz's version of Siri, but has the advantage of being able to control car functions. The Mercedes-Benz CLA is based on the A-Class hatch. "By recognising gestures it facilitates natural operation," says Mercedes board member Ola Källenius. If waving your hands doesn't take your fancy, the CLA will also respond to "Hey Mercedes" - and Benz says it now doesn't get confused with other passengers and will only reply to the first user on each drive. Two large colour digital displays, one central and another for the driver, provide a raft of customisable information via the touchscreen, console dial or via thumbpads on the steering wheel. 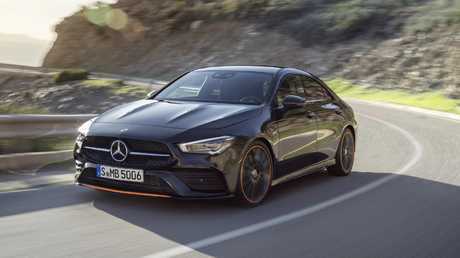 New Mercedes-Benz CLA has wellness functionality: Not only is the new Mercedes-Benz CLA designed to make you look good on the outside, it also makes you feel better once inside. Initially released at CES last year, the latest iteration has stepped up several notches. In the dark reading lamps can be switched on and off by a hand moving toward the rear-view mirror. Or when a user gestures close to the touchscreen, the respective menu rolls into view. The menu also depends on which direction the hand comes from…so the passenger can make adjustments specific to their side of the car. The CLA can tell if you are stressed. From the outside Mercedes opted for a more mature yet sporty makeover. The cabin is longer and wider than its predecessor, but sits slightly lower on the road. Chief designer Gorden Wagener said it was pivotal to maintain the "distinctive Coke-bottle shoulder' along with its shark nose combined with a long, stretched bonnet with bulging powerdomes. Engineers have extended the distance between the wheels (an extra 63mm at the front and 55mm more at the rear), while combined with a lower centre of gravity it's claimed to offer more driving athleticism. There are more generous elbow and shoulder proportions, and while head room has also improved those in the back will find the 3mm improvement meagre below the swooping roofline. 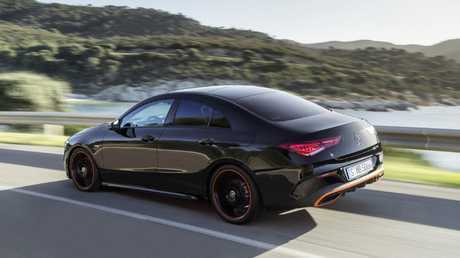 A swoopy design gives the CLA a sportier look compared to the A-Class. Also making its debut at CES was the Mercedes-Benz Vivoactive 3 smartwatch. It can be used, or any compatible Garmin wearable smartwatch, to partner with the optional "Energising Coach". The user's heart rate can be projected onto the screen, with the coach working in tandem with the watch's algorithms to improve car comfort enabling "passengers to feel well and relaxed even during demanding or monotonous journeys". Borrowing ability from the S-Class limousine, it can drive semi-autonomously on highways and roads with clear markings. Improved camera and radar systems enable the CLA to scan traffic 500 metres ahead, maintain its road position and even change lanes without drive input - but the driver does need to use the indicator stalk. 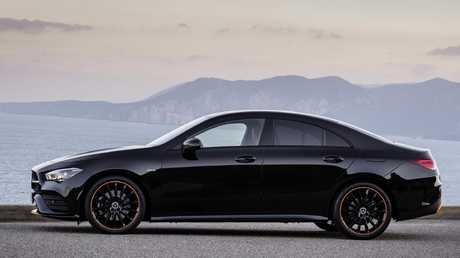 The CLA features the maker’s new “Hey Mercedes” digital assistant. Pricing and full engine specifications will be revealed closer to launch, but expect an increase over the current retail cost of $49,400. Watch prices are also yet to be announced. Taking the stand in Vegas was the CLA250 powered by a 165kW/350Nm four-cylinder petrol engine with a seven-speed dual-clutch auto.